"I would recommend counselling to anyone because it has helped me so much." - Feedback from a student after attending our one-to-one counselling sessions. What happens at the therapeutic consultation? If something is causing you concern, is upsetting or distressing you, then it may help to talk about it in a safe environment. By first completing the online referral form we will be able to get a sense of what kind of support you need and who might be best placed to help, before you arrive for your appointment. At the therapeutic consultation we can offer coping strategies and resources. We will discuss options available through the University and through external services, including the NHS. These may include referral for counselling or other support, personal development sessions and group workshops or self-help materials. As a student counselling and personal development service, we cannot guarantee same-day appointments although we do our best to see students as quickly as possible. We aim to book you a therapeutic consultation within 10–15 working days, but we're a very busy service - last year we saw over 1,000 students. If you're in urgent need of support please refer to our support in times of crisis section. If you or someone else is at immediate risk of harm you should contact your GP. After the consultation you may be put on our waiting list for counselling with an associate - how long you'll have to wait will depend on various factors, including the time of year, but we'll try and give you some idea. What if I'm not sure I need counselling? Don't assume your problem is too small. If you're not sure, why not talk to one of our Listening Post volunteers in the Learning Gateway. If in any doubt, please complete the online referral form. The counselling we offer is short-term and focused on your academic and university life. The therapeutic consultation will enable you to get a different perspective, explore new coping strategies and find a way forward. If you would benefit from brief counselling we can refer you to our volunteer associate counsellors who are professionally trained and who can offer up to six sessions. If your needs are more complex and require a specialist or long-term approach we will direct you to more appropriate services in the community, including the NHS. Almost all of the city services operate waiting lists, generally a few months, so we will also suggest other ways of helping yourself in the meantime. No! We all know what it feels like when problems begin to get in the way of our everyday life. When things go wrong it's usually because our coping strategies have let us down or we're so distressed by circumstances that our view of things becomes distorted. Seeking the support we need to manage difficulties and gain experience takes courage so, far from judging you, we see your approach to the service as a sign of strength. You will be taking the first steps towards resolving your problem. What about counselling and record keeping? Counsellors keep brief notes to help them remember the important facts about your situation. Notes are kept on a secure, password protected database, accessible only by student counselling and personal development staff. The fact that you have used our service will not appear on your student records and no-one outside student counselling and personal development will be given any information about you without your permission. See more about confidentiality. Can I choose the gender of my counsellor? Let us know if you have a clear preference for a male or female counsellor when requesting the initial consultation and we'll do our best to book you appropriately. Can I request an extenuating circumstances letter? You can if you're in counselling with us and your studies are evidently affected, but your counsellor can only make a comment on the period where they have seen you. It's usually best to discuss the need for extenuating circumstances letters with your tutors first. Please don't assume that we can automatically issue you with a letter or that we can produce letters at very short notice. Sometimes a letter from your GP is more appropriate. For more information on extenuating circumstances, please see the University policy. 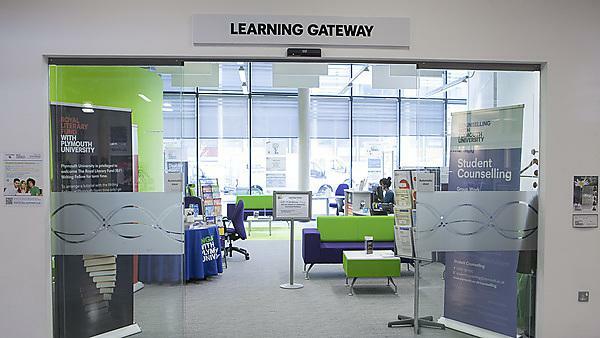 The counselling and personal development service reception on the main Plymouth campus is based in the Learning Gateway, on the ground floor of the Roland Levinsky Building and is fully accessible. Counselling sessions are held in 4 Portland Mews where there is wheelchair access to the ground floor, a waiting area, one consulting room and adapted toilet facilities. If you'd like an appointment and need it to be in a ground floor room, please contact us on +44 1752 587676 in advance and we'll arrange this for you. If required, we can arrange parking for disabled students in a bay immediately outside the building. All our service publicity can be produced in different formats on request. We want to make our service accessible to all undergraduate and taught postgraduate students. If there are any barriers to you using the service, please contact us and we'll be happy to make alternative arrangements or adjustments wherever possible to accommodate your needs.